How To List Your Home for the Best Price If your plan for 2019 includes selling your home, you will want to pay attention to where experts believe home values are headed. 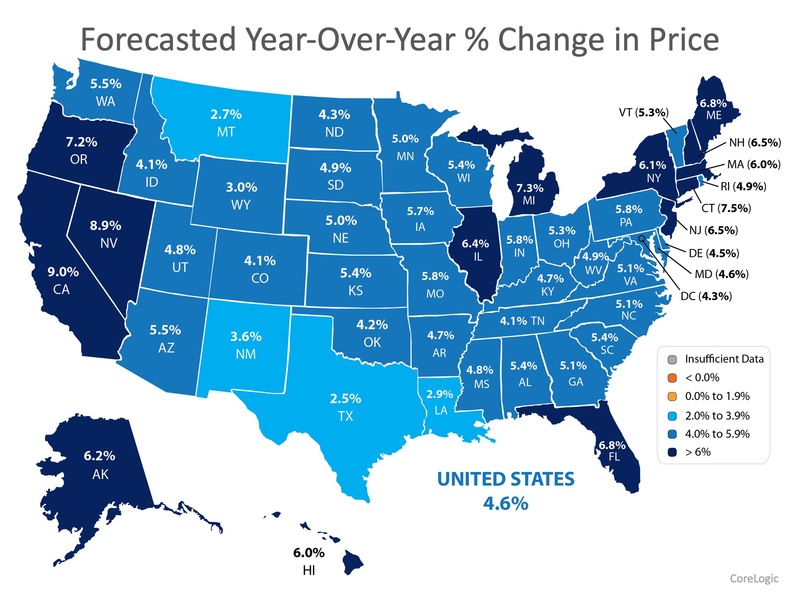 According to the latest Home Price Index from CoreLogic, home prices increased by 4.7% over the course of 2018. The map below shows the results of the latest index by state. How To List Your Home for the Best Price | MyKCM Real estate is local. Each state appreciates at different levels. 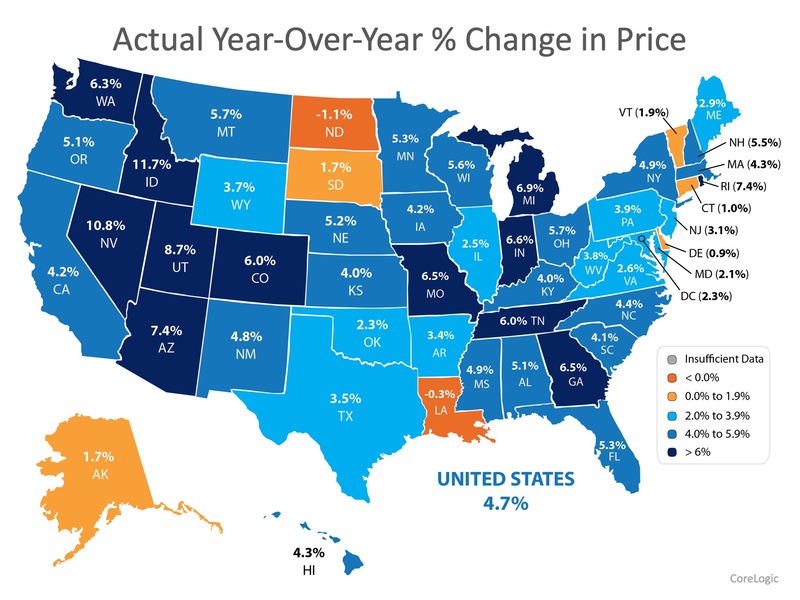 The majority of the country saw at least a 2.0% gain in home values, while some residents in North Dakota and Louisiana may have felt prices slow slightly. This effect will be short lived. In the same report, CoreLogic forecasts that every state in the Union will experience at least 2.0% appreciation, with the majority of the country gaining at least 4.0%! The prediction for the country comes in at 4.6%. For a median-priced home, that translates to over $14,000 in additional equity next year! (The map below shows the forecast by state.) How To List Your Home for the Best Price | MyKCM So, how does this help you list your home for the best price? Armed with the knowledge of how much experts believe your house will appreciate this year, you will be able to set an appropriate price for your listing from the start. If homes like yours are appreciating at 4.0%, you won't want to list your home for more than that amount! One of the biggest mistakes homeowners make is pricing their homes too high and reducing the price later when they do not get any offers. This can lead buyers to believe that there may be something wrong with the home, when in fact the price was just too high for the market. 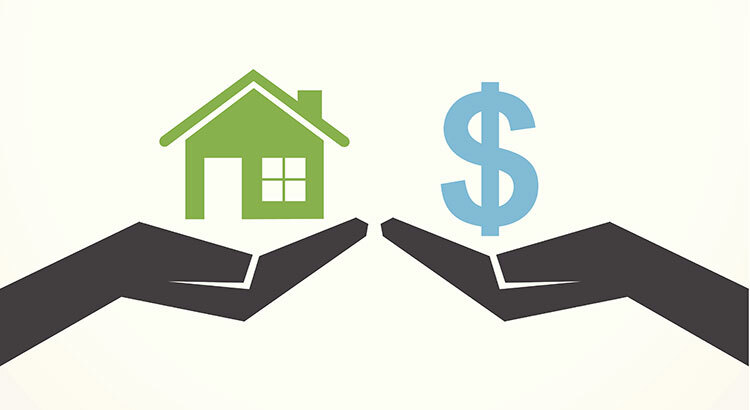 Bottom Line Pricing your home right from the start is one of the most challenging parts of selling your home. Once you decide to list your house, let's get together to discuss where home values are headed in your area!